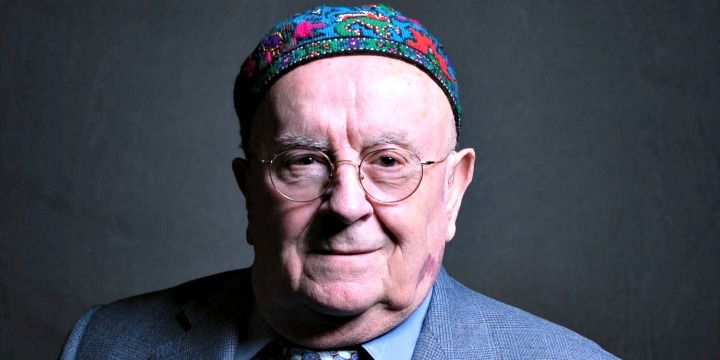 Judah Samet survived the shooting massacre at Pittsburgh’s Tree of Life Synagogue. Photo: White House. As part of his annual State of the Union address on Tuesday night, U.S. President Donald Trump addressed the threats posed by Iran and antisemitism. The U.S. withdrew from the 2015 accord last May and reimposed sanctions the following August and November that were lifted under the deal in addition to slapping on fresh penalties against Tehran. 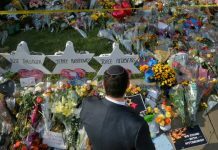 Samet, who was born in Hungary and survived the Bergen-Belsen death camp, got to Shabbat-morning services about five minutes after it started — a factor that saved him from being inside during the attack by lone gunman Robert Bowers. A total of 11 Jewish worshippers were killed that day. 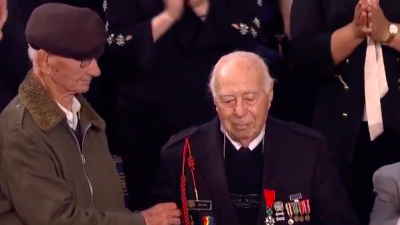 Holocaust survivor Joshua Kaufman (left) assists U.S. Army veteran Herman Zeitchik as they receive a standing ovation at the State of the Union address on Feb. 5, 2019. Credit: Screenshot.